I know that’s true when it comes to math. 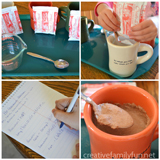 Practicing addition, subtraction, and multiplication all help your child become proficient. It always seems like the default way to practice math is with flash cards. 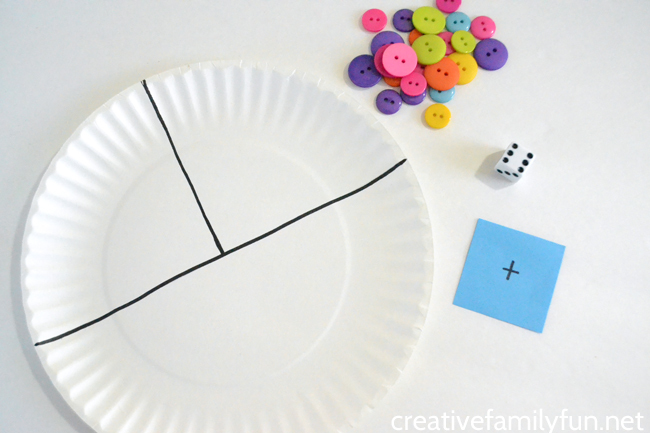 But, today, we’re going to ditch those flash cards (for good) and practice math with this fun Paper Plate Addition Game. 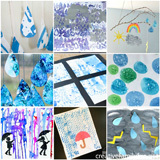 It’s easy to make and you can play it over and over again. Use your black marker to draw a line across the center of your plate. Next, draw a line to divide the top half in half again. See the picture above for an illustration. 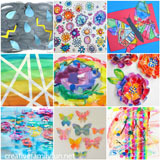 Write a plus sign on one of the sticky notes. If you also want to practice subtraction, write a minus sign on another sticky note. Place your sticky note on the line dividing the top half of your paper. Gather your dice and your buttons. It’s time to for some math addition practice. Roll one die. Place that number of buttons in the first section of your plate. Roll the die again. Place that number of buttons in the second section. 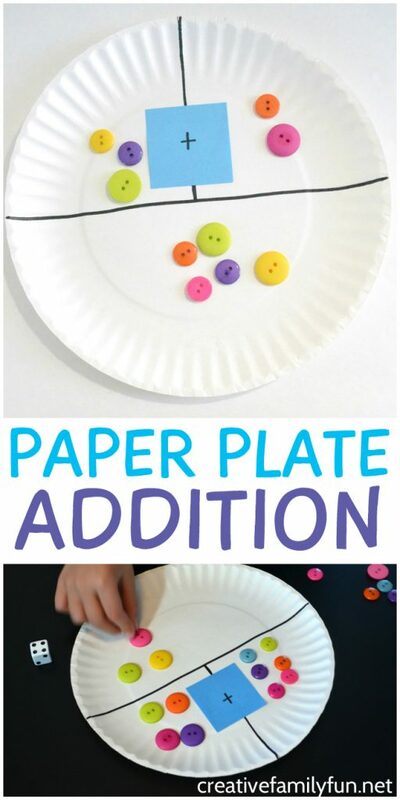 Add the two sections together and put the correct number of buttons in the bottom half of the plate. Remove the buttons and play again. You can play over and over again as much as you want! Practice subtraction: Roll two dice to find your numbers in the top section. 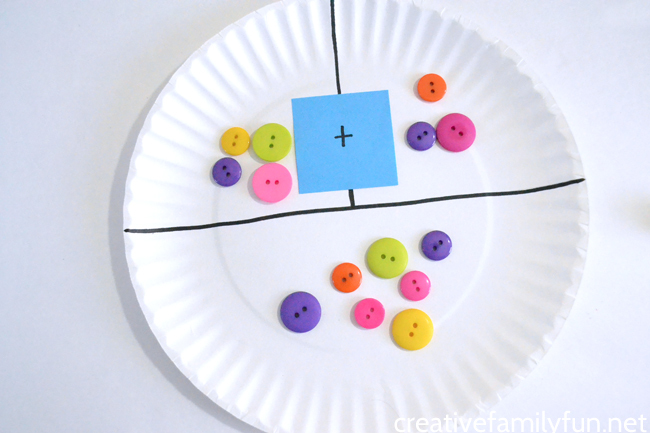 Subtract the numbers and place the correct amount of buttons in your bottom section. 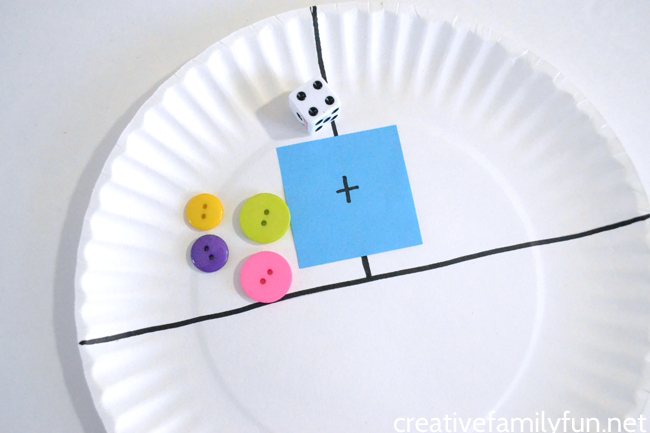 Add bigger numbers: Use two dice instead of one to add bigger numbers. 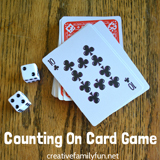 Practice specific math fact families: Are you practicing +2 facts? 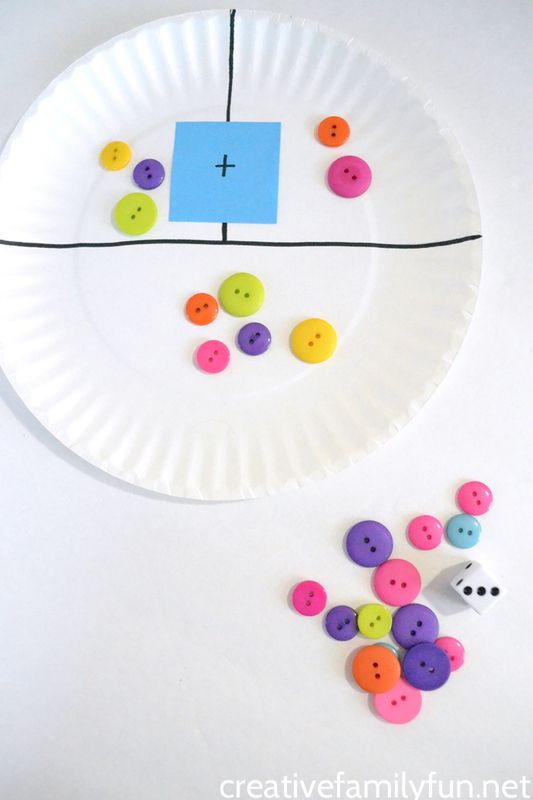 Always start with 2 buttons in the first section and roll a die to find the second number. Then add the two together. You can practice any set of math facts this way. 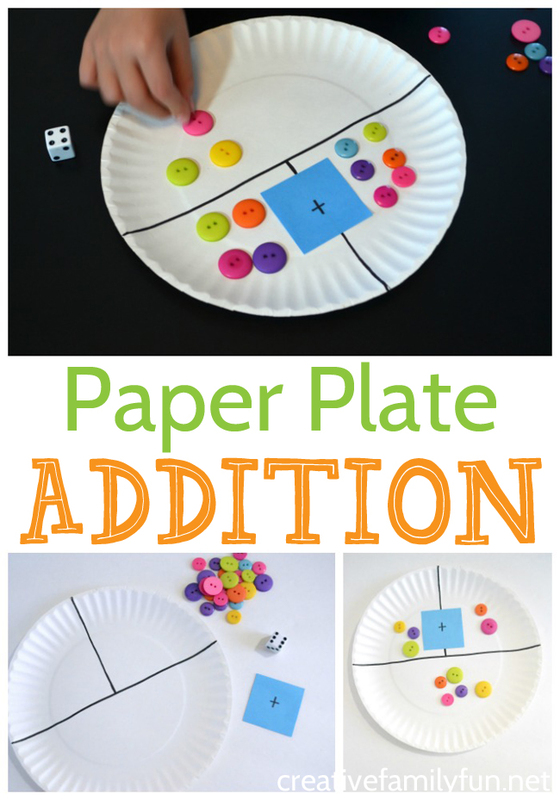 How would you use this paper plate addition game?